While summer's coming to a sad close, the colors of summer are still in full swing at nail salons around the world. So before you put away your brights, consider one more summer collection...for me. 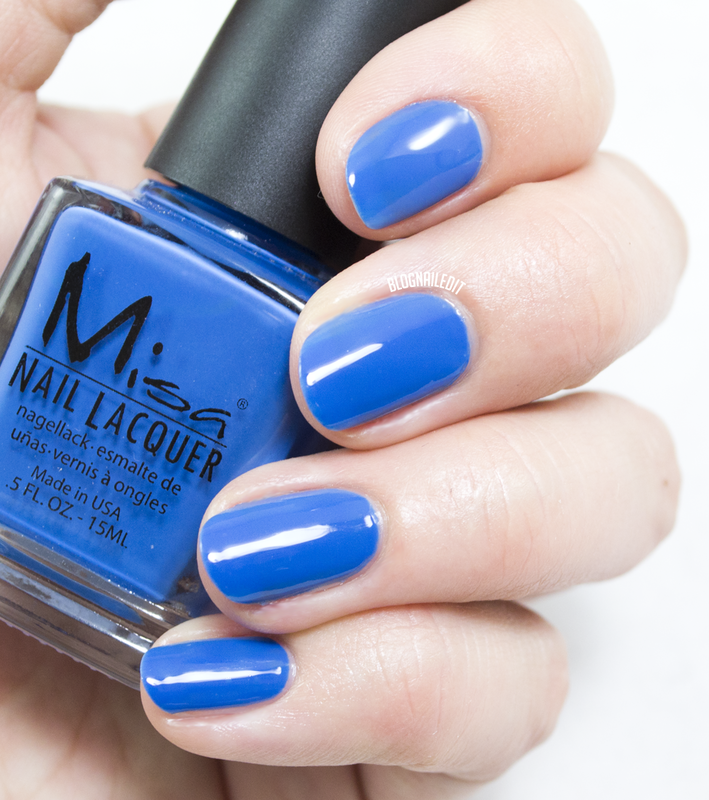 The first swatch is the darkest in the rainbow, the blue Power Surge. Gravitron (3 coats) - Like Power Surge, there's a bit of a dusty, muted feeling to this grassy green. Though I needed 3 coats to hide my free edge, you can get away with 2 if you're more patient. 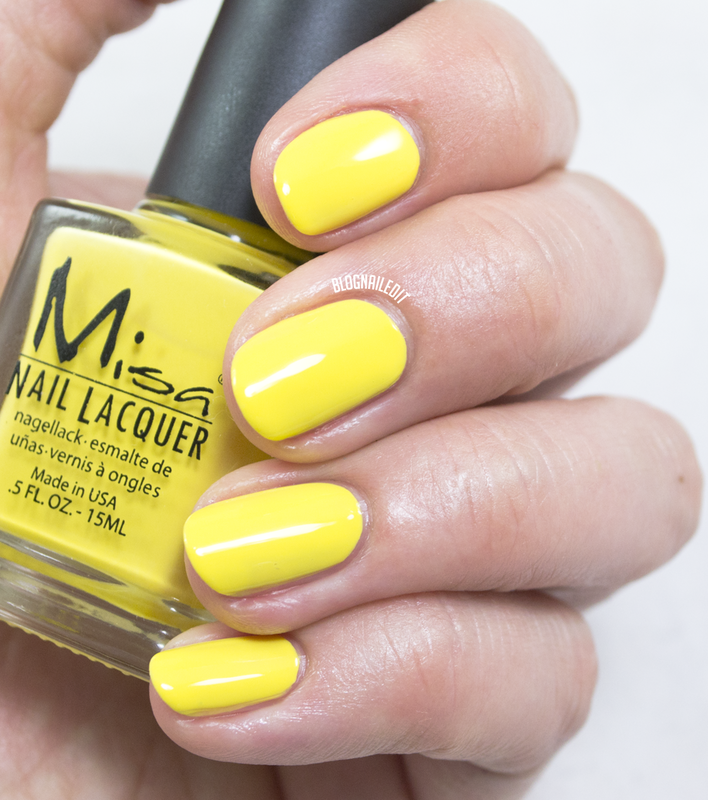 Tumble Bug (3 coats) - God what a yellow! A little more pale than your typical taxi cab yellow. I'd describe this as a daffodil yellow. I needed a little more than 2 coats to cover. 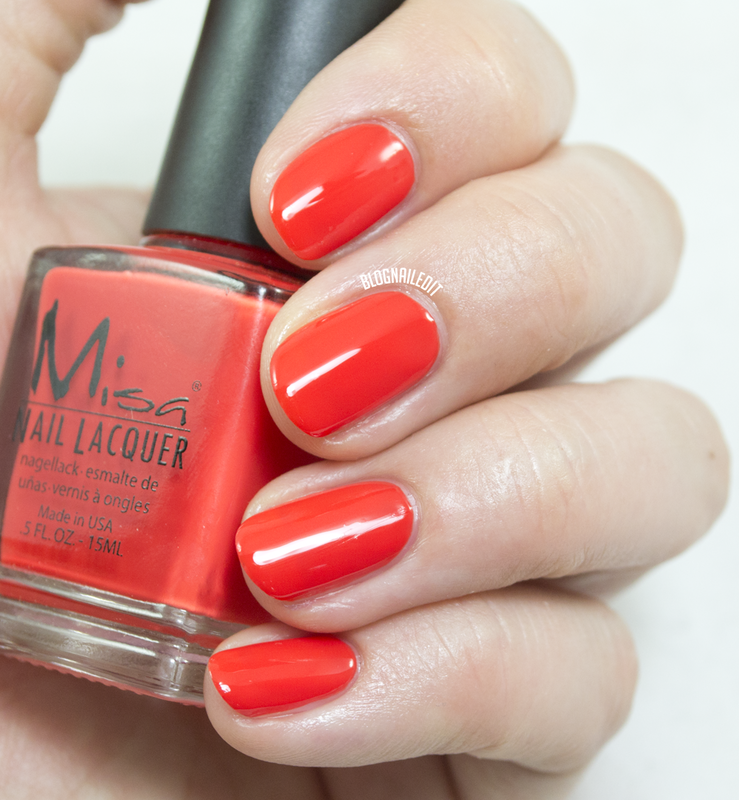 Shoot the Chute (3 coats) - This is an orange-red creme shade, almost entirely a red. It's definitely an orange, but it's darker than most. Again, you could get away with 2 coats patiently. 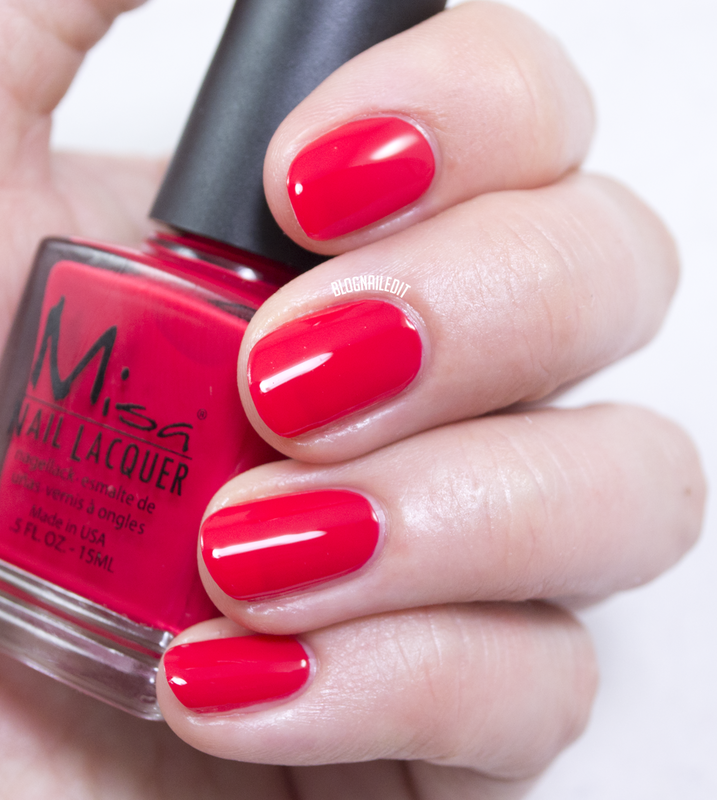 Loop-de-Loop (2 coats) - This is a bold and bright maraschino cherry shade. A great solid creme for nail art as well. 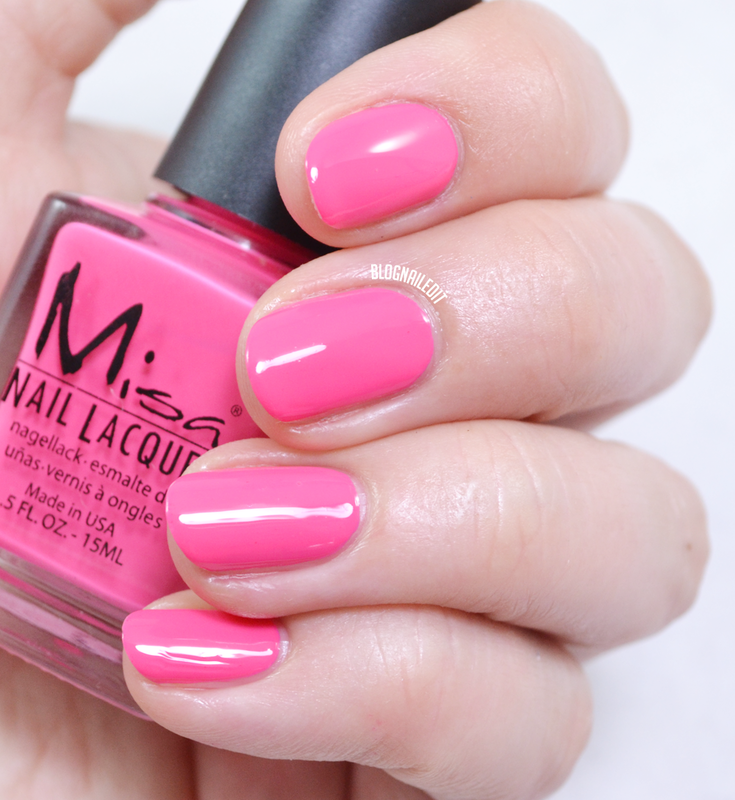 Tilt-A-Whirl (2 coats) - The last shade in the rainbow of rides is this dusty Barbie pink. It's a warm pink that covers very well in 2 coats. 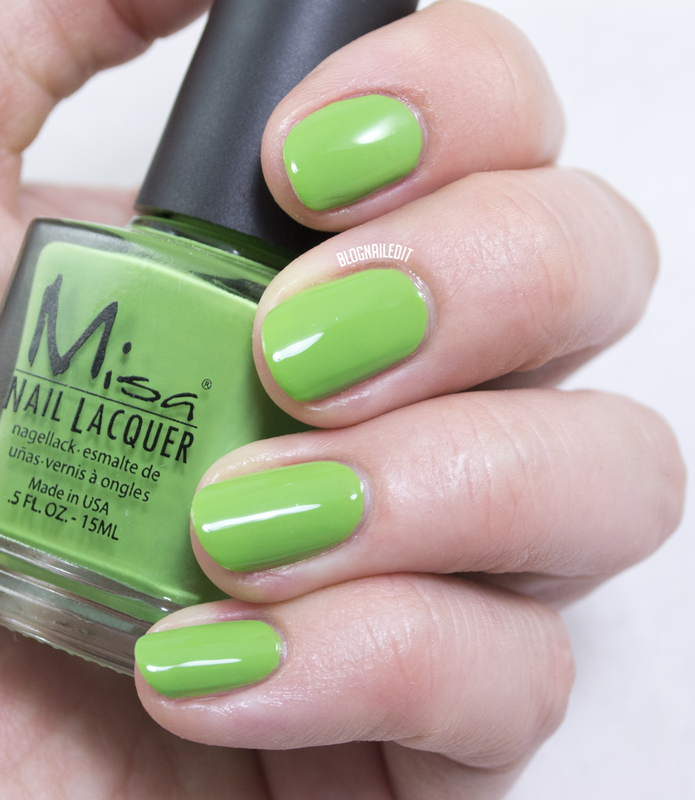 To get your hands on this collection, visit the Misa online store. They go for $7.50 retail. The colors will definitely be staples in my primary color collection from now on!